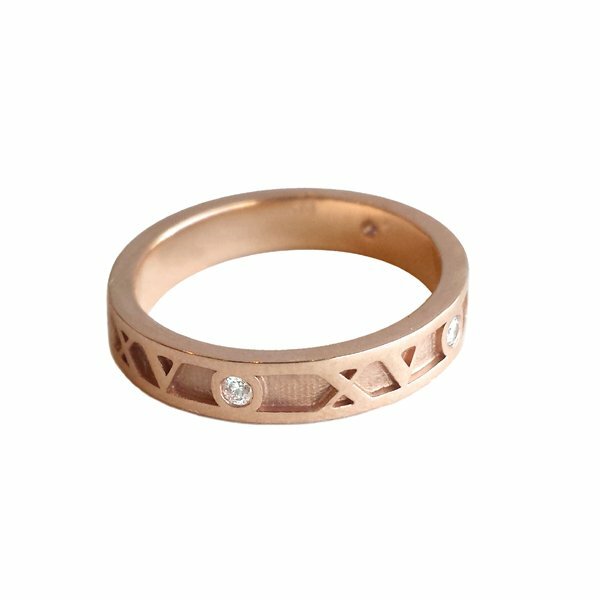 Mark your occasion with this unique, personalised ring! Symbolise a milestone birthday, anniversary, graduation or any important day with your custom date in Roman numerals! To create your own bespoke jewellery piece, select from silver, white gold, rose gold or yellow gold in 9, 14 or 18 carat, matt or polished finish, and band widths of either 5mm, 6mm, 7mm or 8mm wide in any finger size above H.